As I was scanning through an anthology of historical essays about the Buffalo Soldiers, one particular chapter caught my attention. It addressed the role and lives of the five African American chaplains who served with Buffalo Soldier cavalry and infantry during the late 19th Century. Christian faith and the influence of religious beliefs are topics that I often look for when I’m studying a new era or topic, so I was really excited to see a whole chapter on the subject. Today I thought I’d share an overview of what I learned about the men who choose to serve the Lord in a particularly challenging environment. The U.S. Army had had chaplains for a long time. The Civil War created some challenges as volunteer chaplains showed up in military camps along with the volunteer troops. Traditionally, chaplains were treated as officers and sometimes given a military rank to assist them in performing their religious calling. 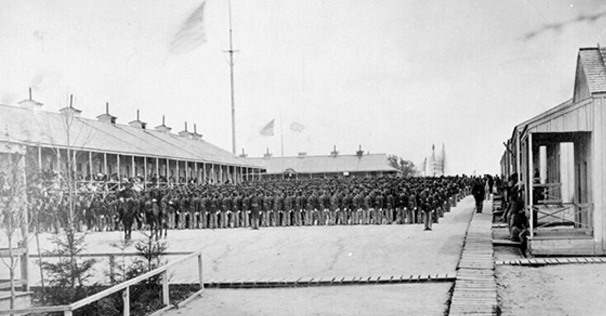 In 1863, the U.S. government decided to re-organize and create an official chaplain’s corps which would reduce the fraudulent so-called “chaplains” who were appearing in the camps and not behaving appropriately or teaching politics rather than faith. The new system did help to bring or keep the faithful ministers among the soldiers, and it also opened opportunities for African American pastors. By the end of the Civil War, there were fourteen African American men preaching to the U.S. Colored Troop regiments and to anyone else who would listen to them. All fourteen men were well-educated and met the army qualifications for the position of chaplain, but when the Civil War ended all resigned to teach and assist the freed slaves in the South. After the Civil War many African American men enlisted in the U.S. military, serving in cavalry or infantry units throughout the western regions. These units were originally assigned white chaplains and white officers. In 1884 – after much letter writing to government officials and prayer – Henry V. Plummer was appointed as the first official African American chaplain for the Buffalo Soldiers, and he joined the 9th Cavalry. Plummer already had a military background and religious training. He’d been a slave in Maryland, escaped, and served in the U.S. Navy during the Civil War. In the post-war years, he became a Baptist minister. Henry Plummer opened the door for ministry, and four other African American chaplains eventually served. 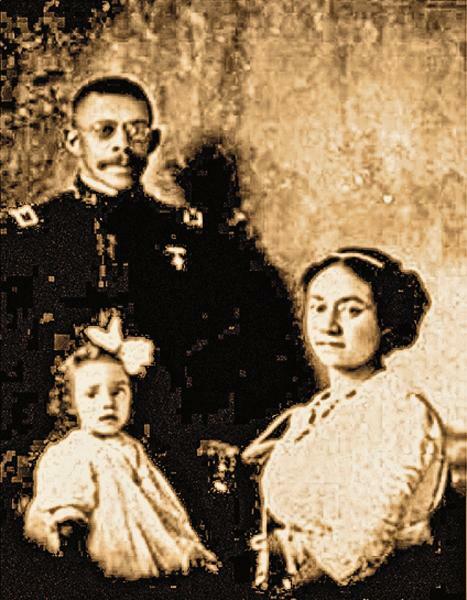 George Prioleau and his family (His wife and children travelled with him during his military service). George W. Prioleau replaced Plummer as chaplain for the 9th Cavalry, and he served with the unit through the Spanish American War. He had attended the African Methodist Episcopal college in Ohio (Wilberforce University) and earned multiple degrees. Prioleau wrote for a newspaper during part of his time as a military chaplain and publically denounced the racial prejudice aimed at African American soldiers. William T. Anderson served as chaplain with the 10th Cavalry. Before joined the military, he had received multiple theological degrees and a medical degree. During his service in the west and on Cuba (Spanish American War), Anderson won the respect of all by his compassion, and his medical skills became the key which unlocked doors for him to share his faith and Biblical truth. The 24th Infantry had Allen Allensworth for their chaplain. 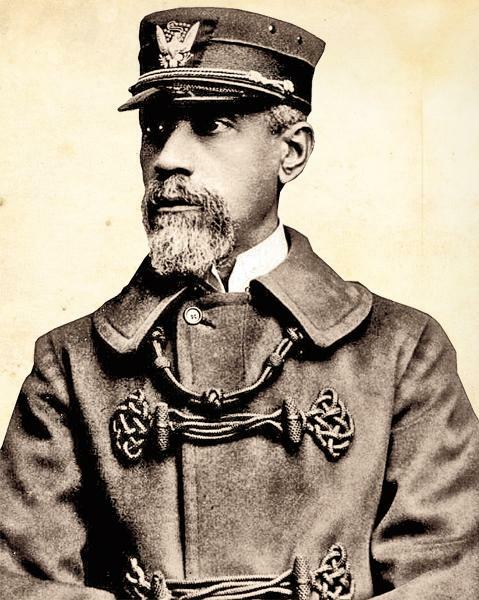 Allensworth eventually reached the rank of lieutenant colonel and was the highest ranking buffalo soldier chaplain. In addition to his religious duties, Allensworth organized educational opportunities for the soldiers and families at the western forts, desiring to make the army a positive training ground for young African American men and give them skills which would be useful when they re-entered civilian life. He had several degrees and was praised for being a “Christian gentleman and a man of scholastic habits.” In 1907, health challenges forced Allensworth to resign from military service, and he started an African American community (Allensworth) in the Central Valley of California, hoping to create a town where people could learn skills and improve their lives away from social and racial prejudice. Theophilus G. Steward traveled the west and the world as the chaplain of the 25th Infantry. Ordained as a minister in the African Methodist Episcopal denomination, Steward had worked to help freedmen in the South and wrote several books. In 1891 he received a chaplain’s commission and headed west. Between his official duties, he found time to write books reviewing and honoring African American military service and a practical guidebook for army chaplains. When the unit transferred to the Philippines at the conclusion of the Spanish American War, Steward went along. Aside from his preaching and ministering, he taught Filipino school children and insisted on equality for all people. Resigning in 1907, he taught as a professor at Wilberforce University. Chaplain Allen Allensworth was recognized for the educational opportunities he developed and organized for the enlisted Buffalo Soldiers. Significantly, all five chaplains believed the army was an excellent training ground for young men. Former slaves or young freedmen from the North sometimes struggled to find opportunity and might encounter harsh prejudice when searching for work or education. Enlisting in the military gave these men a way to earn pay, respect, and a strong platform to demand equality since they served America. The chaplains realized the possibilities military service gave to the African American men, and they also knew that good religious instruction would improve the men’s characters. Some of the chaplains taught school classes in addition to their religious services. Four of the five chaplains had been slaves, and, though slavery was abolished, African Americans were often treated unfairly and with prejudice. Through their official appointment as military chaplains, Plummer, Prioleau, Anderson, Allensworth, and Steward were given a unique power to confront prejudice. They all took different approaches – direct, passive, humor, teaching, preaching, or actions to make their statement. The chaplains were not always treated with respect, but oftentimes they were able to use their rank, official religious position, or actions to request equality for themselves and the men they served. Through their actions, faith, and religious instruction these chaplains had a positive impact on the prejudiced officers and settlers they encountered and on the soldiers they served.